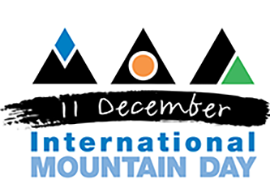 The United Nations General Assembly Has designated 11 December International Mountain Day [http://www.fao.org/forestry/internationalmountainday/en/]. International Mountain Day is an opportunity to create awareness about the importance of mountains to life, to highlight the opportunities and constraints in mountain development and to build partnerships that will bring positive change to the world’s mountains and highlands. 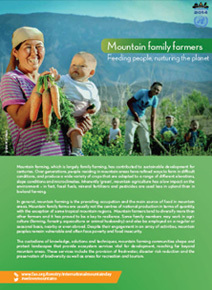 International Mountain Day 2014 provides an occasion to highlight how family farming in mountain regions is undergoing rapid transformation due to population growth, economic globalization, urbanization and the migration of men and youth to urban areas. At the same time, these changes can provide opportunities for local development. People who live in mountain areas can diversify their income by engaging in activities such as tourism, high value mountain products and handicrafts. An enabling policy environment that includes tailored investments could improve farmers’ access to resources and increase their capacity to generate income. A feature article by Dr Tashi Dorji and Dr Surendra Joshi for uptake by regional newspapers. Knowledge Forum: Dr Mahabir Pun, Magsaysay Award Recipient, to deliver a talk on ‘Sharing 22 years’ experience working with people in the mountain villages of Nepal’ [Mahabir Pun Knowledge Forum]. Dr Pun is a pioneering social entrepreneur who created and led the Nepal Wireless Networking Project, which uses wireless technology to develop remote areas of the Himalayas. He is a widely known figure in Nepal, and his work has been recognized by the Ashoka Foundation, Ramon Magsaysay Foundation, University of Nebraska, and Global Ideas Bank. Present the ‘ICT for Development Award 2014’. 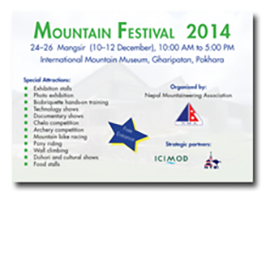 Participate in the ‘Mountain Festival Nepal’ being organized by the Nepal Mountaineering Association at the International Mountain Museum, Pokhara, 10-12 December 2014. ICIMOD will conduct hands-on- training on bio-briquette using water hyacinth; showcase technologies and products such as kiwis, ground apples, shitake mushrooms; put up a photo exhibition on ‘Family Farming’, and an information booth to display publications and thematic posters. Second edition of CLIMATE+CHANGE exhibition (launched on World Tourism Day, 27 September 2014) currently taking place at the International Mountain Museum, Pokhara; features science displays by ICIMOD and striking photography by David Breashears of GlacierWorks and other Nepali photographers that show the rapidly changing Himalayas and the solutions being implemented in the region. 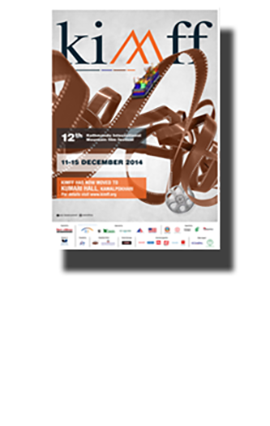 Participate in the Kathmandu International Mountain Film Festival (KIMFF), 11-15 December 2014, Kathmandu, Nepal. ICIMOD will award the Best ICIMOD Mountain Film at KIMFF 2014. The award was set up in 2013 to support filmmakers from ICIMOD's member countries Afghanistan, Bangladesh, Bhutan, China, India, Myanmar, Nepal, and Pakistan working to document stories and raise awareness on issues related to sustainable mountain development in the Hindu Kush Himalayan region. The photo exhibition on ‘Family Farming’ will be on display at the venue. ICIMOD-Afghanistan, in collaboration with the United Nations Environment Programme (UNEP) and the National Environmental Protection Agency (NEPA), will be organizing a one-day policy dialogue on ‘Considering Mountain in National Policies’; a talk programme on ‘Mountain farming is family farming’; and a Knowledge Market that will showcase knowledge products by 30 participating organizations/institutions working in mountain development sectors. 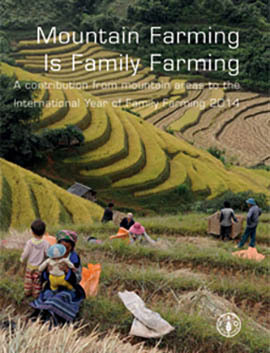 Further, ICIMOD Director General’s ‘message for the day’, a photo exhibition on ‘Family Farming’ and publicity materials from FAO will also be shared at the event. All these activities are related to topics such as mountain farming, mountain and development, climate change and adaptation, and national policies on mountains. ICIMOD will participate in a rally and a seminar on Mountain Farming organized by the Ministry of Chittagong Hill Tracts Affairs, Dhaka, Bangladesh, along with its partners including ICIMOD. The event will also feature a Special Message from David Molden, Director General of ICIMOD, a speech by Special Guest Basanta Raj Shrestha, Director of Strategic Cooperation at ICIMOD, and a photo exhibition on ‘Family Farming’. The Bhutan Media and Communication Institute, ICIMOD’s knowledge partner, will organize a seminar for farmers from two districts of Punakha and Thimphu in collaboration with Happy Green Cooperatives. Seminar participants will also include other relevant stakeholders such as officials from banks, ministries of agriculture and trade, marketing experts, and middlemen. The seminar aims to inspire mountain farming and highlight farmers’ role in society; create awareness about market opportunities and the scope for organic farming and healthy food products. “International Mountain Day CN-ICIMOD Strategic Workshop” will be held on 11 December in Chengdu. Members of the Chinese Committee on ICIMOD and experts from ICIMOD partner institutions will gather to exchange knowledge and insights on adaptation and development in the Hindu Kush Himalayan region and discuss the strategy for moving forward on the path of collaboration for a better environment and improved livelihoods for mountain people. ICIMOD representatives will be attending the Meet of the Mountain States, Third Edition, which is being organized by the Integrated Mountain Initiative in New Delhi from 10 - 11 December 2014. On 11 December, Dr Eklabya Sharma, Director of Programme Operations at ICIMOD, will deliver an address as a Guest of Honour where Mr P.A. Sangma, currently Member of Parliament and former Speaker of Lokh Sabha India will be the Chief Guest. The Eco Concept based in Guwahati, India will be conducting a three-day community-learning event at Sacred Groves, Mawphlang in Meghalaya. The event is targeted at students from the mountains of Meghalaya and the plains of Guwahati. It is hoped that the students will learn about the importance of mountains and understand how globalization is affecting village economy and ecology. Myanmar’s Ministry of Environmental Conservation and Forestry is organizing special programmes in different mountainous areas, both at the ministry and local levels. ICIMOD will be providing materials such posters, publications and documentaries for display and distribution at the programme. The ICIMOD office in Pakistan will join hands with the Government of Pakistan, DEVCOM- Pakistan, EvK2CNR and Lok Virsa for a week-long 4th Pakistan Mountain Festival from 7 to 14 December 2014. The event will comprise various activities, such as a conference on ‘Challenges Confronting Mountains and its People’, Mountain Women’s Forum, Youth Assembly, Mountain Business Forum as well as some awareness raising activities, art competition, cultural shows, and an international film festival.